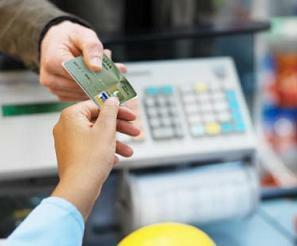 • Do not just opt for any merchant account from any company. You always have the option to choose between several such companies. Know about their offers, service and get the best deal for you. • Start up the merchant accounts service with all the latest and updated versions available. Hence make sure that the merchant account you opt for has the facility to accept credit cards for a credit card machines, internet, and telephone and even from mobile credit card processing machines which is the current day trend. You have to ensure that you are going to generate the highest sales in the first go only. • While choosing the merchants account that has no limitation on the amount of sales and transactions that takes place from credit cards. In such cases check the amount the merchant account service company is going to charge on a monthly basis besides the percentage they charge for each transaction. • Professionalism is a big thing that entrepreneurs should expect from merchant companies. In this a case, make sure that there is not much delay in processing the money into your account. This can actually affect your business as with the profit you tend to invest more into your business. • Check the credentials of a merchant accounts company yourself before you actually enter into the deal. It is important for you to know their customer care service and also look in complaint forums about their services. • Most merchant accounts company will offer you to rent the credit card machines. Renting should not be a preferable choice. Rather it is better to buy it as these machines will always be required. Even if you change your company, there are no limitations regarding the credit card machines used. Always remember about the amount you pay every month and make sure that there are no hidden costs that the company is charging. In case you are dissatisfied with the company’s service, feel free to change it immediately as this may affect your profit over the time.